It's a slow Las Vegas news day so I thought I'd post this picture I took a while ago of Circus Circus in the rain. I'm not a photographer by any means but I thought this was a pretty cool photo, especially when you consider how rare it is to see rain in Las Vegas. Way back in 2011 (yes, this blog has been around that long) I wrote about a possible new UNLV football stadium. Since then we haven't heard much about the stadium aside from some questioning over the price tag. Recently the RJ has reported about some land deals that could pave the way for a new stadium. UNLV would purchase 42 acres which are currently owned by Wells Fargo, and would also acquire an additional 38 acres from Clark County. If this happens, UNLV would essentially control a huge chunk of land on Tropicana Ave between Thomas and Mack and Koval. The stadium could end up being fairly close to the Strip, just across from the MGM Grand parking garage. The big question is money. UNLV would have to issue debt to make the deal happen, and there's some debate over whether they should do that. Even if they get the land there's then a question of coming up with money to build the stadium, although it looks like UNLV will find productive uses for the land even if a stadium isn't built right away. UNLV isn't known for its football program, but having a new stadium would certainly help. The stadium would be unique in this case because being in Las Vegas would open it up to hosting a multitude of events outside of football - like concerts, the rodeo, UFC and boxing, or even the Final Four or Super Bowl someday. The Las Vegas City Council has passed an ordinance which will require downtown street performers to register with the city, and will also restrict them to assigned circles six feet in diameter. There are 38 such circles, and each performer will be restricted to a two hour time limit in each zone. Performers will be rotated to prevent someone from monopolizing a highly desired space. The Las Vegas Strip will not be affected by these new rules, since it's outside of city limits. I think most people will agree these rules are a good thing. People dressed up in Mickey Mouse costumes and shaking down tourists for photos and tips is a bad trend. This will hopefully make the buskers less aggressive, and help clean up the image of Fremont Street a little bit. Lionel Richie will be doing a Las Vegas residency at The Axis at Planet Hollywood in 2016. 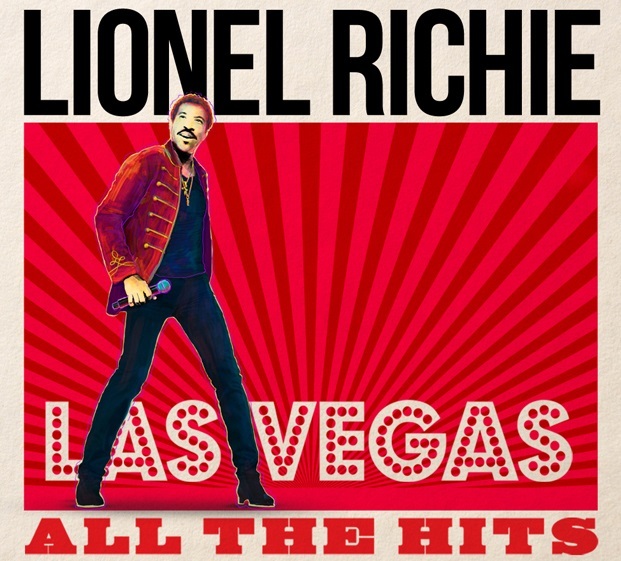 The dates for "All The Hits" will be April 27 to May 18 and then again from September 21 to October 12. The Axis is quickly becoming a hot spot for resident headliners. Britney Spears is the regular, but semi-regulars Pitbull and Jennifer Lopez will also be calling Planet Hollywood home for short residencies. The Nevada Department of Transportation board has approved a $35 million package to replace escalators along the Las Vegas Strip, according to an AP article. Many of the Las Vegas Strip pedestrian bridges have frequently broken escalators. The problem has become so prevalent that it's a popular complaint among Vegas tourists. The $35 million deal will replace 16 escalators, along with sprucing up the pedestrian bridges with structural and visual improvements. The old escalators were built in the early 90's and the manufacturer is no longer supporting them - so parts for repairs had to be custom made. It's obviously great news that the escalators are being replaced, but I would have liked to see them better maintained in the first place. The article mentioned that Clark County has agreed to maintain the escalators after the overhaul, so hopefully they stay in good shape for the foreseeable future. Opening Sunday of the 2015 NFL season was a rough one for sportsbooks in Las Vegas, as public bettors did unusually well according to an ESPN article by expert sports gaming writer David Purdum. Westgate, Wynn, William Hill, MGM, Caesars, CG Technology, Stratosphere and Station Casinos all reported a losing day according to the article. Favorites did well covering 9 out of the 13 day games with tons of money being bet on the victorious Packers and Dolphins. With so many of the favorites winning - multiple bet parlay cards started to pay off big. Among the underdogs that did win - the Rams were a popular choice among professionals, which caused even more pain for the books. Early season games are usually big moneymakers for the sportsbooks, although the lines can be softer because nobody has seen what these teams can do yet. As the season goes on I would expect the lines to tighten up and the books to get back on track, hoping to match the $113.7 million they won on football in 2014. When looking for a great view of the Strip you might think about something like Ghostbar at The Palms, The High Roller, or perhaps Voodoo Lounge at Rio. Those places are great, but if you're looking for a nice view and don't want to spend any money - several of the hotel parking garages around the Strip can give you a nice view for absolutely free. Here are some pictures I got recently from the Rio parking garage. The view isn't quite as nice as Voodoo lounge, but it's not bad.